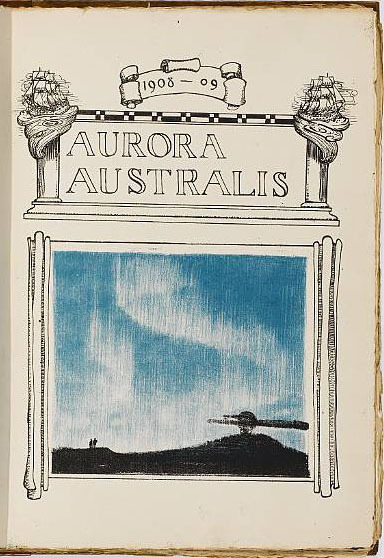 This section is intended to focus on various rarities of Antarcticana including expedition publications such as the Aurora Australis and the South Polar Times. 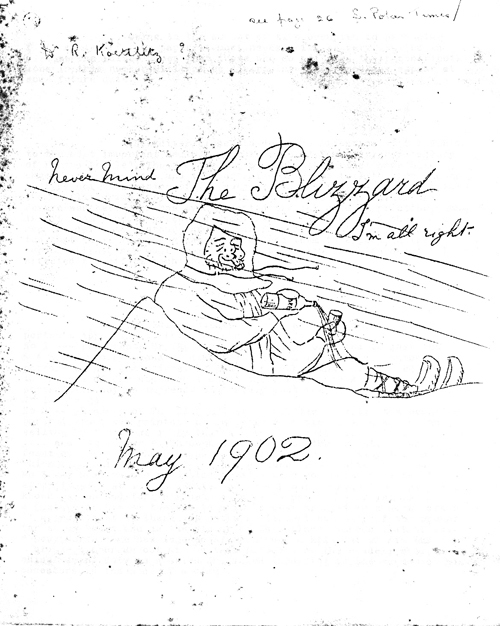 Launched: 8 July 2007. 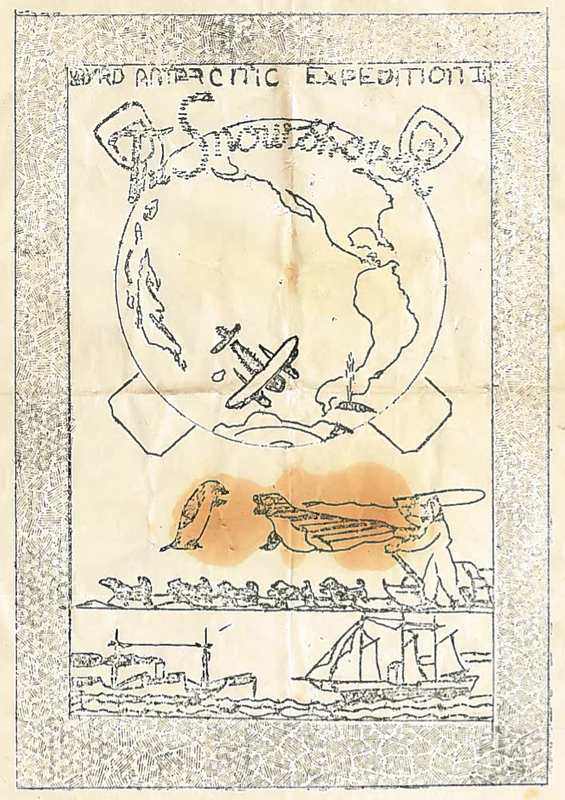 Last updated: 27 December 2018. 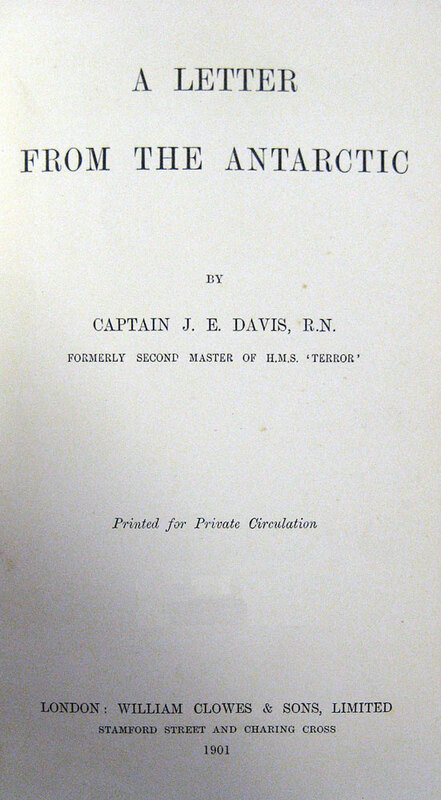 Accessed at least times since 9 July 2007. 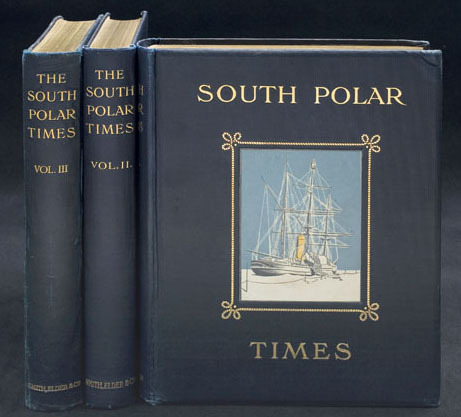 The three published volumes of the South Polar Times. 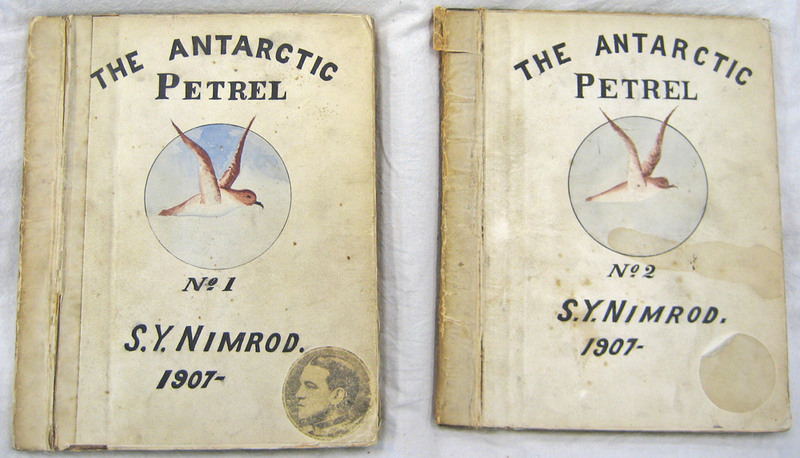 Title page of Robert Stephenson's copy of the The Antarctic Book. 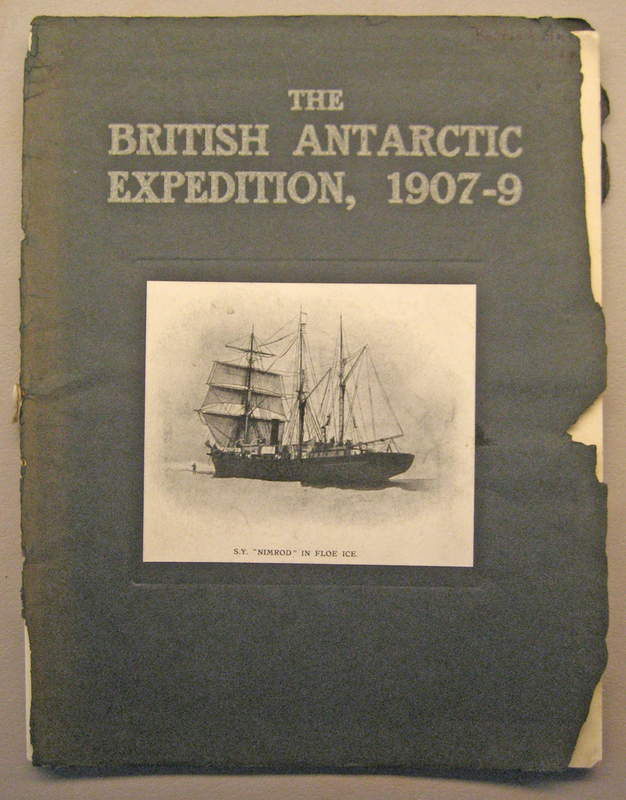 Cover of the catalogue of The British Antarctic Expedition, 1907-9. 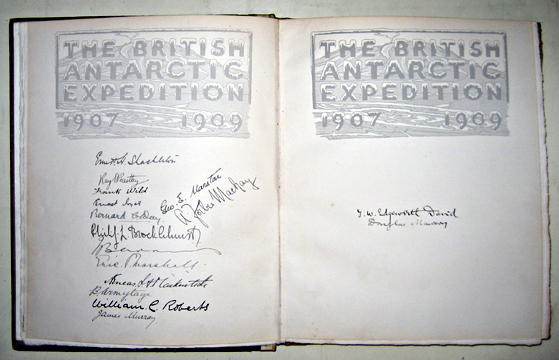 Title page of A Letter from the Antarctic.